The William Blake Archive is pleased to announce the publication of an electronic edition of The Song of Los Copy F, from the Bayerische Staatsbibliothek, Munich, Germany. It joins Copies A and D from the British Museum, Copy B from the Library of Congress, Copy C from the Morgan Library and Museum, and Copy E from the Huntington Library. The Archive now has all six extant copies of this illuminated book, making The Song of Los the fifth illuminated book whose entire publishing history is reproduced in the Archive, joining Milton a Poem, All Religions are One, The Book of Ahania, and The Book of Los. The Archive will add The Marriage of Heaven and Hell and all complete copies of There is No Natural Religion to the list later this year. The eight plates of The Song of Los were produced in 1795; all extant copies (A-F) were color printed in that year in a single pressrun. 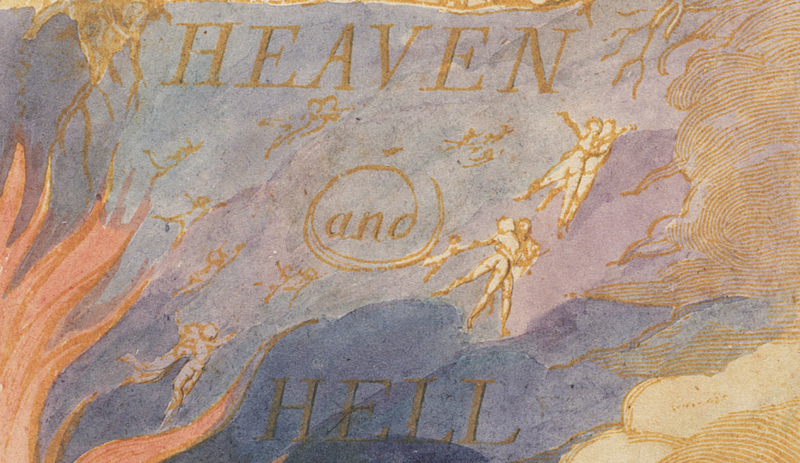 Divided into sections entitled “Africa” and “Asia,” The Song of Los is the last of Blake’s “Continental Prophecies” (see also America  and Europe , exemplary printings of which are in the Archive). Blake abandons direct references to contemporary events to pursue the junctures among biblical narrative, the origins of law and religion, and his own developing mythology. Adam, Noah, Socrates, Brama, Los, Urizen, and several others represent both historical periods and states of consciousness. The loose narrative structure reaches towards a vision of universal history ending with apocalyptic resurrection. 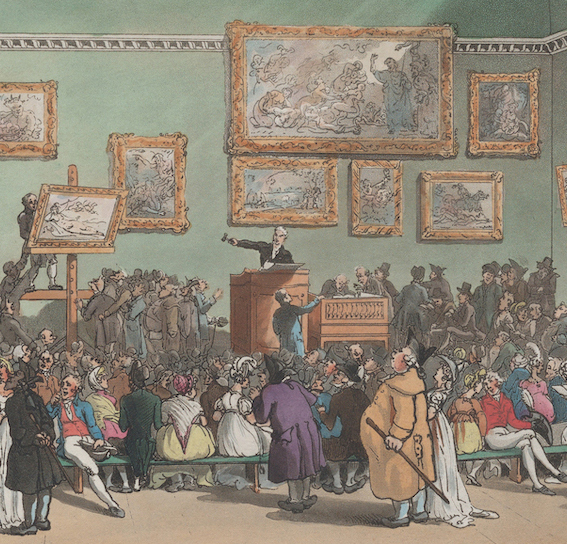 Plates 1, 2, 5, and 8 (frontispiece, title page, and full-page designs) are color printed drawings, executed on millboards and printed in the planographic manner of—and probably concurrent with—the twelve Large Color Printed Drawings of 1795, which are also in the Archive. Plates 3 and 4, which make up “Africa,” and plates 6 and 7, which make up “Asia,” were executed first, side by side on two oblong pieces of copper (plates 3/4, 6/7). Initially designed with double columns in landscape format, the texts of the poems were transformed into vertical pages by printing the oblong plates with one side masked. With the publication of The Song of Los Copy F, the Archive now contains fully searchable and scalable electronic editions of 92 copies of Blake’s nineteen illuminated books in the context of full bibliographic information about each work, careful diplomatic transcriptions of all texts, detailed descriptions of all images, and extensive bibliographies. New protocols for transcription, which produce improved accuracy and fuller documentation in editors’ notes, have been applied to all copies of The Song of Los in the Archive. With the Archive’s Compare feature, users can easily juxtapose multiple impressions of any plate across all or selected copies of this or any of the other illuminated books and, with the Virtual Lightbox, users can examine any images in the Archive, as well as crop, zoom, and juxtapose them for close study. This is the first time that works from the Bayerische Staatsbibliothek have been represented in the Archive. Accordingly, we are also publishing the library’s Blake collection list, which includes all of its original works by Blake, not just those published in the Archive, and joins the Collection Lists of over thirty other contributing institutions. In addition to illuminated books, the Archive contains many important manuscripts and series of engravings, color printed drawings, tempera paintings, and water color drawings, including illustrations to Thomas Gray’s Poems, water color and engraved illustrations to Dante’s Divine Comedy, the Linnell and Butts sets of the Book of Job water colors and the sketchbook containing drawings for the engraved illustrations to the Book of Job, the water color illustrations to Robert Blair’s The Grave, and all nine of Blake’s water color series illustrating the poetry of John Milton. In December 2014, the Archive launched a new wing, which contains searchable HTML and PDF editions of thirty-nine past issues of Blake/An Illustrated Quarterly published from 2000 through 2009. PDF versions present the journal as originally published, but the HTML versions are re-implemented with many full-color images from the Blake Archive, making it possible for users to link directly to those works that have been published in the Archive.